Led by the 3rd generation of the Barber family, we provide construction services for heavy civil, highway and infrastructure, industrial and manufacturing facilities, and site development for retail, commercial and residential developments. Our capability to address construction challenges presented by our southern Louisiana environment allows us to perform with quality under a variety of harsh and unique circumstances. Quality construction materials that perform as promised? That's what we do! Barber Brothers Contracting provides construction materials for heavy civil, highway and infrastructure, industrial and manufacturing facilities, and for retail, commercial and residential developments. Our commitment to quality construction materials that perform in harsh southern Louisiana conditions has helped us deliver projects that stand the test of time. Professional contracting without the corporate feel. Since our founding, we've provided commercial-grade professional contracting services without becoming disconnected from the jobsite. We're big enough to handle the largest projects, but our leadership team is on the job... communicating, updating, supervising, and quality checking to make sure your project is delivered on scope and within budget. Barber Brothers Contracting provides construction services for heavy civil, highway and infrastructure, industrial and manufacturing facilities, and site development for retail, commercial and residential developments. Our capability to address a variety of construction challenges allows us to perform reliably with quality. Since our founding, a family atmosphere has permeated through our company culture and an open-door style of management used to ensure that team members and new hires feel comfortable communicating at all levels of the organization. In an industry where danger is a routine part of the job, BBC remains relentlessly committed to safety by encouraging communication between employees, supervisors, and executives on important issues. Quality construction starts with quality materials carefully manufactured to perform under conditions determined by the project's scope. 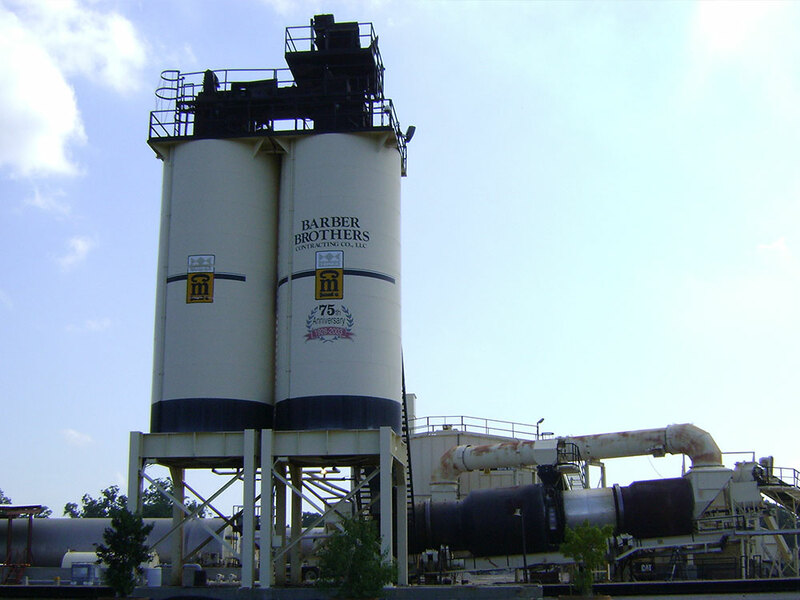 Barber Brothers Contracting controls quality by manufacturing the most appropriate materials for your project in our family-owned asphalt plants located across south Louisiana. So, whether it's needed on a Barber job site or on yours, we stand by our commitment to material quality. “Nobody Gets Hurt!” means just that — no incidents and no injuries, no matter how seemingly minor. Family and friends who care about us and count on us, need us to stay safe at work. Caring about our co-workers, clients and the traveling public requires us to keep our jobsites as safe as possible. We believe that nothing is more important to our family and our community. Our safety culture defines us and sets us apart. We apply generations of successful planning and scheduling to your asphalt paving projects to ensure your budget, timing, specifications, and geotechnical requirements are met. 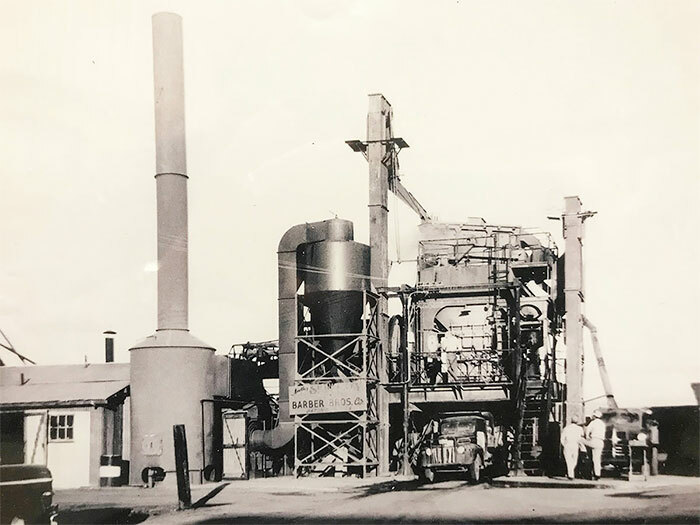 Barber Brothers has three asphalt facilities to support our construction operations as well as for supplying asphalt mix to outside-sales customers. 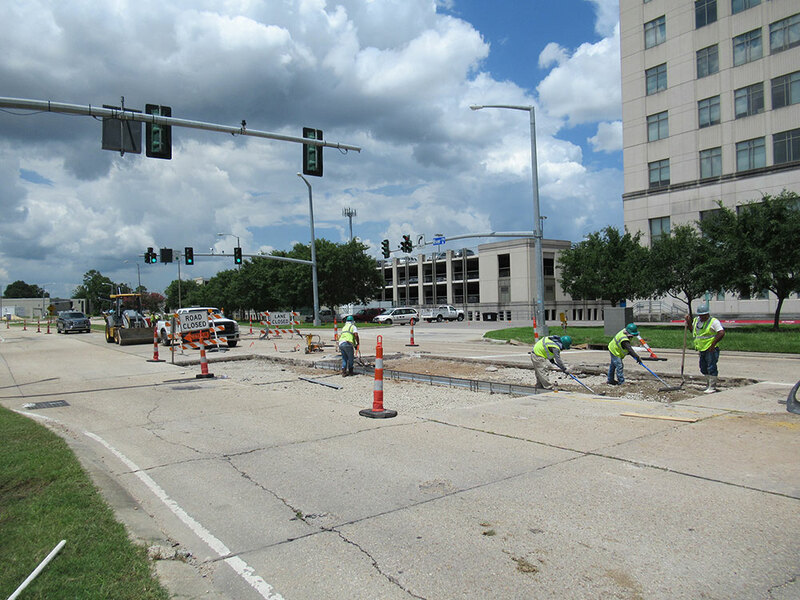 Barber Brothers is Louisiana’s heavy civil, highway and municipal construction company with a 90-year successful track record of building and reconstruction of transportation, retail and residential developments, marine, industrial, manufacturing, and water infrastructure. As a self-performing contractor, Barber Brothers Contracting Co. has the experience and knowledge to control the quality, cost, schedule and safety on your next heavy civil project. Your construction projects are vital to the success of your facility, and often requires tightly controlled scheduling and industry-specific specifications. We bid and plan projects carefully to ensure the safest possible work environment for our teams so they focus on controlling project cost, meeting your specifications, and completing the project within your timeframe. It takes an experienced, resource-heavy professional contracting company to prepare a site for major construction, and you can count on Barber Brothers 90 years of construction management and site-prep experience to get the job done and ready for the next phase on time and within budget. We produce a wide range of asphalt mixes at our plant sites across south Louisiana, and we offer cold mix asphalt at our Port Allen site. If your project requires hot or cold mix asphalt, crushed concrete or recycled base material, contact us for a quote.